H L Shashidhara, Nagendra M Singh, Prasoon L Gupte, Bharath Srikala, Varghese Mathew. Background: Psychiatric morbidity is common in geriatric population along with other medical ailments. Increasing longevity contributes to higher prevalence of degenerative diseases in the elderly. In this perspective, the disease patterns may have changed in this age group and more so in the developing countries. Objectives: The current study explores the sociodemographic profile, disease patterns of various psychiatric ICD-10 diagnoses, and medical comorbidities in the elderly outpatients attending geriatric clinic. 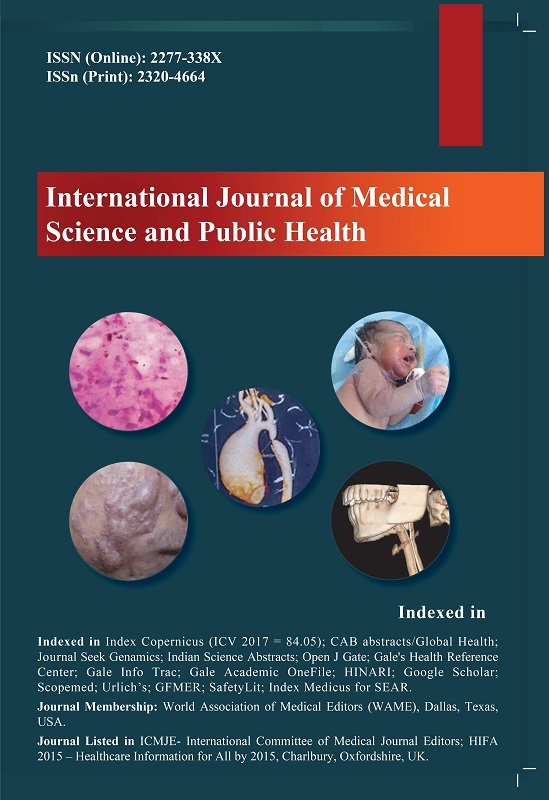 Materials and Method: The sample consists of 319 elderly outpatients attending geriatric clinic from September 1999 to December 2002 at National Institute of Mental Health and Neuro-Sciences, Bengaluru, India. This institute is one of the 10/66 centers. This sample is a heterogeneous population of both genders and age >60 years. The patients were assessed using a semi-structured interview as well as laboratory and other investigations as required. Results: The common psychiatric morbidity of this population is dementia (42.4%) and affective disorders (27.3%). However, the medical comorbidity of these patients is also high (41.9%). Previous study from the same center in 1996 reported that 4.2% of patients attending psychiatric services were 60 years and above. The most common problems in the previous study included psychoses (66%), of which about two-thirds (43% of the total) were non-organic psychoses. Conclusion: Dementia, a degenerative disease, forms the largest group of mental illness in elderly outpatients attending geriatric clinic. Other organic psychiatric diseases follow this. Medical comorbidity is concurrently seen in patients with the psychiatric morbidity. This extrapolates the requirement of the multidisciplinary approach in managing the patients in geriatric age group.